Adidas has led an uprising to bring forth a story. 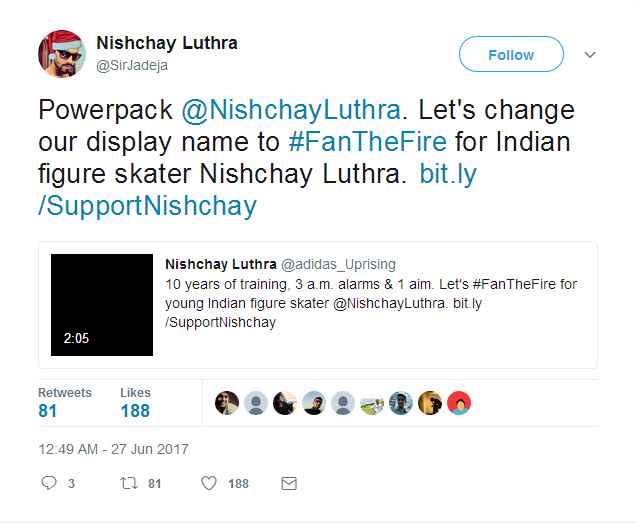 It is the story of Nishchay Luthra, and it is time to #FanTheFire! 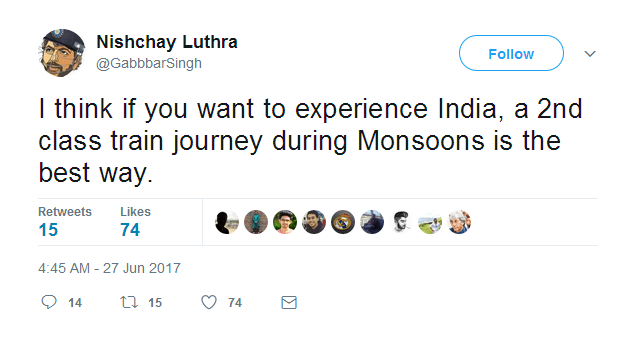 India’s infatuation with stories of grit, passion and perseverance are only trumped by their superior infatuation with anything but Cricket. But, this time Adidas has led an uprising to deliver the attention that other sports and sportspersons deserve, achieving everything they possibly can, yet failing to achieve the attention. It is the story of Nishchay Luthra, and it is time to #FanTheFire! Ideated and formulated by Cheil India, #FanTheFire has taken a one of a kind initiative on social media combining the elements of social media buzz, Influencer Marketing, compelling creativity and a moving story. The story of figure skater Nishchay Luthra, who is going to represent India at the Winter Games in 2018, yet is barely known back home, despite being a 9 time National Gold Medalist. 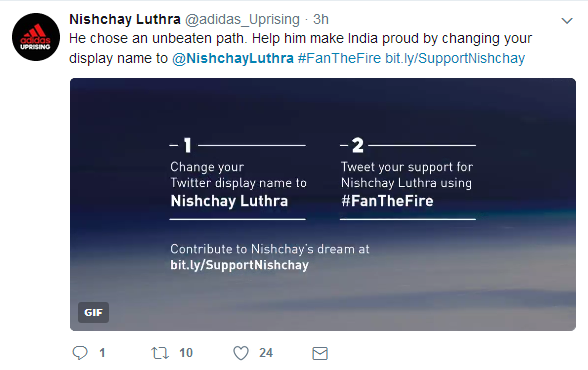 Numerous Twitter Influencers, and Adidas’ official handle have renamed their accounts under Nishchay Luthra’s name. The aim is to draw attention to his struggle, his aim for perfection and his drive to succeed and hoist the tricolor higher than any other nation’s flag at the Winter Games 2018, to be held in the United States of America. 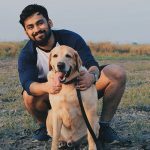 The campaign video for #FanTheFire shows Nishchay Luthra, who is away in Florida, practicing and putting in hours, sweat, blood and tears that makes champions and brings the glory. Nishchay’s mother, his biggest fan, pens down her faith in her son as she narrates his daily perseverance that shows the mark of a true achiever. 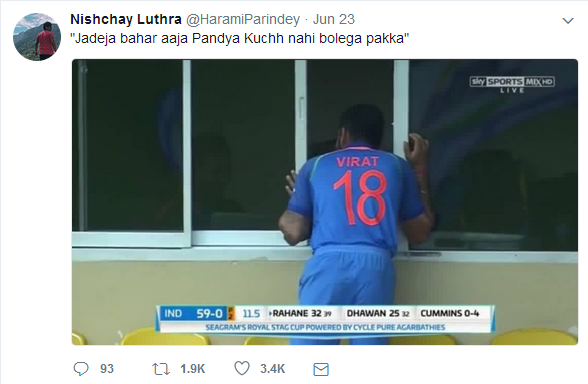 On Twitter, popular Influencers such as Trendulkar, Gabbar, Sir Ravindra Jadeja (Parody Account), Cricketer Rishabh Pant, Squash player Dipika Pallikal, Pakchikpak Raja Babu and Madan Chikna among many more have changed their Twitter account names to draw attention to Nishchay Luthra’s ambitious goal. To see a detailed review of the campaign let us know in the comments below or write to us on team@socialsamosa.com. #AgainstLabels going beyond stereotypes. Again?